GRAVENHURST, ON – Sawdust City Brewery has announced that a popular late summer seasonal has returned with a new recipe. This American Wheat IPA is now brewed using 50% wheat malt, resulting in a hazy, hop–forward flavour which is delicately balanced by the rich malt body the perfect supporting role for mounds and mounds of hops. 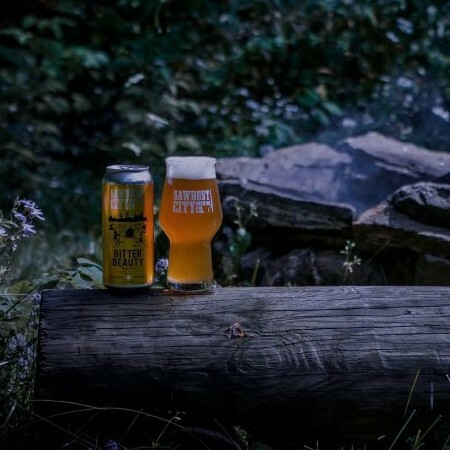 Bitter Beauty is the perfect beer to savour while relaxing around the campfire, gazing at the stars in the night sky. Bitter Beauty is available now at the Sawdust City saloon and retail store in Gravenhurst and select bars across Ontario while supplies last.